Topic: Cyberwar: Science or Science Fiction? Tom DeMarco is a Principal of The Atlantic Systems Guild, a systems think tank with offices in the U.S., Germany and Great Britain. 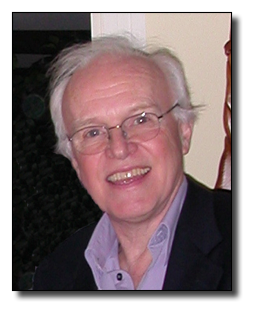 He is a past winner of the Jean-Dominique Warnier Prize for “lifetime contribution to the information sciences,” and the Wayne Stevens Prize for his contributions to the “methods and techniques of software engineering.” He is one of the founders and a past-president of the Pop!Tech Conference and a Fellow of the Cutter Consortium. 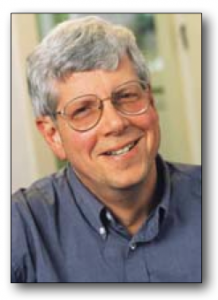 Tom is the author of eight books on computer systems, software development, management, and organizational design, plus three works of fiction. His most recent book is called Adrenaline Junkies and Template Zombies: Understanding Patterns of Project Behavior written with five other members of the Guild. His best known work is Slack: Getting Past Burnout, Busywork, and the Myth of Total Efficiency, published by Random House. It addresses the question, Why are we all so damned busy? and offers some unsettling answers. Our speaker’s first work of mainstream fiction, a comic novel called Dark Harbor House, was published in the Spring of 2001. His short story collection, Lieutenant America and Miss Apple Pie was published in 2003. He makes his home in Camden, Maine. 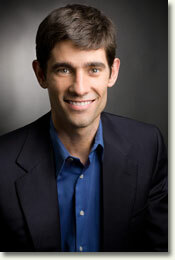 Seth G. Jones is a senior political scientist at the RAND Corporation. He most recently served as the representative for the commander, U.S. Special Operations Command, to the Assistant Secretary of Defense for Special Operations. Before that, he served as a plans officer and advisor to the commanding general, U.S. Special Operations Forces, in Afghanistan (Combined Forces Special Operations Component Command–Afghanistan). Jones specializes in counterinsurgency and counterterrorism, with a particular focus on Afghanistan, Pakistan, and al Qa’ida. 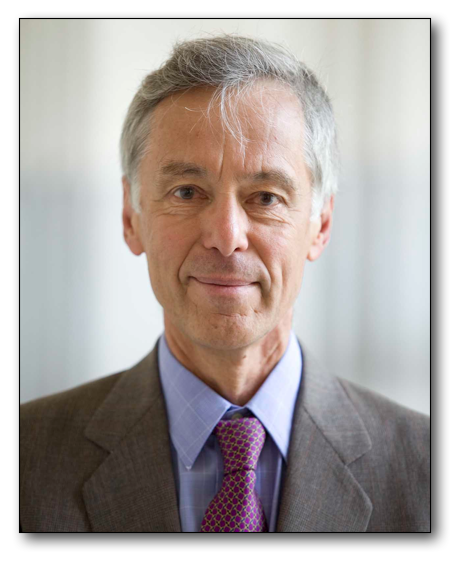 He is the author of In the Graveyard of Empires: America’s War in Afghanistan (W. W. Norton), which won the 2010 Council on Foreign Relations Silver Medal for Best Book of the Year and The Rise of European Security Cooperation(Cambridge University Press, 2007). 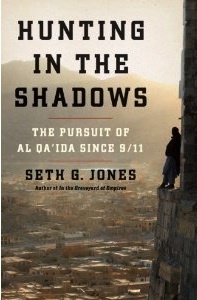 His most recent book is Hunting in the Shadows: The Pursuit of al Qa’ida After 9/11 (W. W. Norton, forthcoming). He has published articles in a range of journals, such as Foreign Affairs and Foreign Policy, as well as in such newspapers and magazines as the New York Times, Newsweek, Washington Post, and Wall Street Journal. Jones received his M.A. and Ph.D. from the University of Chicago. 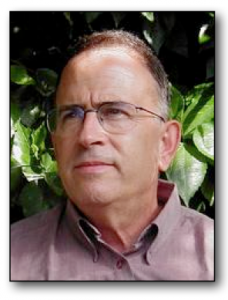 Yossi Alpher is a writer and consultant on regional strategic issues, and director of the Political Security Domain (PSD), an independent NGO. He is coeditor of bitterlemons.org and bitterlemons-international.org together with Ghassan Khatib, former Minister of Planning in the Palestinian Authority. Bitterlemons.org is a web-based Israeli-Palestinian political dialogue magazine; Bitterlemons International is a web-based “Middle East roundtable”. Alpher also serves on the executive committee of the Council for Peace and Security. Mr. Alpher has served as director and acting head of the Jaffee Center for Strategic Studies, Tel Aviv University; as director of the American Jewish Committee’s Israel/Middle East Office in Jerusalem; and as a senior official in the Mossad. While at the Jaffee Center, he coordinated and coedited the JCSS research project on options for a Palestinian settlement, and produced “The Alpher Plan” for an Israeli-Palestinian final settlement. Since 1992, he has coordinated several Track II dialogues between Israelis and Arabs. In July 2000 he served as special adviser to the prime minister of Israel, concentrating on the Israeli-Palestinian peace process. In late 2001 he published (in Hebrew) And the Wolf Shall Dwell with the Wolf: the Settlers and the Palestinians. “The Obama administration’s problems with Israel go beyond the construction of another few hundred housing units in East Jerusalem. More ominously, the ruling coalition in Israel reflects a reshaping of Israeli society that has fortified right-wing designs on the West Bank and strengthened resistance to a peace agreement. To be sure, this is not the first time Israel is dealing with a right-religious-settler-Russian coalition pushing a reactionary agenda. The difference is that this political alignment could be dominant in Israel for some time to come. Allen Wells came to Bowdoin in 1988 after teaching nine years in North Carolina. His scholarship has focused on modern Mexican history, especially Yucatán and he offers a range of courses in c olonial and modern Latin American history. Originally from New York, he received his M.A (1974). And Ph.D. (1979) in History at the State University of New York at Stony Brook and his B.A. (1973) in History and Latin American Studies from the State University of New York at Binghamton. Tropical Zion: General Trujillo, FDR and the Jews of Sosúa(Durham, NC: Duke University Press, 2009). “Reports of its Demise are not Exaggerated: The Life and Times of Yucatecan Henequen,” In From Silver to Cocaine: Latin American Commodity Chains and the Building of the World Economy, 1500-2000, eds.Carlos Marichal, Zephyr Frank and Steven Topik. Durham, NC: Duke University Press, 2006), 300-320. “Los mayas en las obras de los historiadores yucatecos del siglo XIX,” in Los mayas de ayer y hoy: Memorias del Primer Congreso Internacional de Cultura Maya, eds., Alfredo Barrera Rubio y Ruth Gubler, 2 Vols. (México: Solar, Servicios Editoriales, 2006), II: 807-830. “Dialectical Bananas,” in Steve Striffler and Mark Moberg, eds., Banana Wars: Power, Production and History in the Americas (Durham, NC: Duke University Press, 2003): 316-334. The Second Conquest of Latin America: Coffee, Henequen and Oil during the Export Boom, 1850-1930. Co-editor and contributor, with Steven Topik (University of California, Irvine). (Austin: University of Texas Press, 1998). 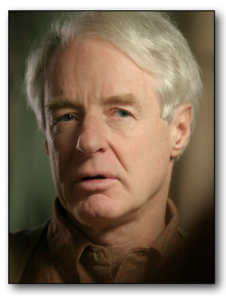 Adam Hochschild began his journalism career as a reporter at the San Francisco Chronicle. Subsequently he worked for ten years as a magazine editor and writer, at Ramparts and Mother Jones. Freelance articles of his have been published in The New Yorker, Harper’s, The New York Times Magazine and elsewhere. He is the author of seven books, mostly on subjects to do with human rights, including King Leopold’s Ghost and Finding the Trapdoor, a collection of his magazine pieces. His recent book, Bury the Chains, was a finalist for the National Book Award. He has consulted for the BBC and taught writing workshops for working journalists in the U.S., Britain, Zambia, South Africa and India. “I’ve long been obsessed and fascinated by the war, for it remade our world for the worse in almost every conceivable way. In addition to killing approximately 20 million soldiers and civilians, the war also ignited the Russian Revolution, sowed the anger that allowed Hitler to seize power, and permanently darkened our outlook on human nature and human self-destructiveness. But also I’ve always seen the war as a time when men and women faced a moral challenge as great as that faced by those who lived, say, in the time of slavery. Tens of thousands of people were wise enough to foresee, in 1914, the likely bloodshed that a war among the world’s major industrial powers would cause—and, courageously, they refused to take part. Topic: Ancient Israel's Anti-Imperialist Origins: Analogies for Today? Norman K. Gottwald is the Wilbur Webster White Emeritus Professor of Biblical Studies at New York Theological Seminary, a multi-denominational and multi-ethnic school serving the churches of metropolitan New York. He is presently Adjunct Professor at Pacific School of Religion and previously served on the faculties of Columbia University, Andover Newton Theological School, American Baptist Seminary of the West, and the Graduate Theological Union, Berkeley, CA. He is an ordained minister of the American Baptist Churches USA.. 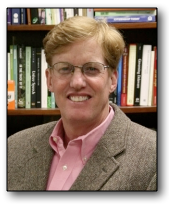 Professor Gottwald is a pioneer in the social critical study of the Hebrew Bible. His groundbreaking book The Tribes of Yahweh: A Sociology of the Religion of Liberated Israel, 1250-1050 BCE (Orbis, 1979 / Sheffield Academic Press, 1999) argues for the origins of Israel as a social revolutionary peasant movement. He is also author of The Hebrew Bible—A Socio-Literary Introduction (Fortress, 1985; in abbreviated form, 2009), and of a volume of papers entitled The Hebrew Bible in Its Social World and in Ours ( Scholars Press, 1993). He is co-editor of The Bible and Liberation. Political and Social Hermeneutics (Orbis, rev. 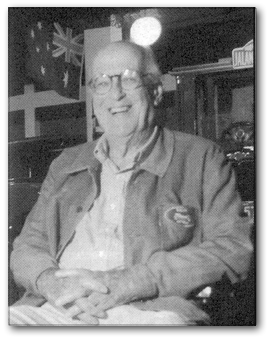 ed., 1993). His most recent work is The Politics of Ancient Israel ( Westminster John Knox, 2001). 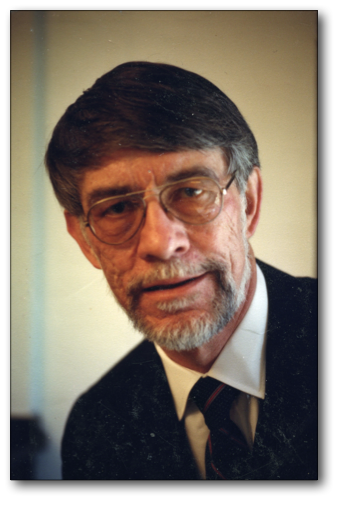 Dr. Gottwald served as President of the Society of Biblical Literature in 1992. In 1996 he was awarded an honorary Doctor of Letters degree by the University of Sheffield in England. He is on the editorial boards of Biblical Interpretation and Library of Hebrew Bible/Old Testament Studies. He has lectured widely in England, Switzerland, Israel, South Africa, New Zealand, Korea, Colombia, Chile, and Brazil as well as throughout Canada and the United States, on the relevance of biblical society, economics, and ethics for contemporary life. He was visiting professor at the University of Cape Town just as South Africa was emerging from apartheid. Active in continuing education for clergy and laity, one of his most popular seminars employs journaling to explore the social spirituality of the Hebrew bible. He has contributed; two volumes in the popular Proclamation guides to preaching (Minneapolis: Fortress Press, 1989 and 1995). Currently, he is a founder and board member of the Center and Library for the Bible and Social Justice located at the Stony Point Conference Center, Stony Point, NY. This institution aims to provide informed biblical resources for those committed to the study and practice of social justice in contemporary church and society. The Center and Library seeks to bridge the gap that presently separates critical study of the Bible from faith-based organizations and activities working for social justice and reconciliation. MARVIN C. OTT — Visiting Professor, Johns Hopkins University and Public Policy Scholar, Woodrow Wilson International Center. Formerly Professor of National Security Policy, National War College and Faculty Fellow at the Institute for National and Strategic Studies, National Defense University. Received Meritorious Civilian Service and Meritorious Joint Unit Service awards from the Department of Defense. Dr. Ott held a number of professional positions before coming to the National War College. He was associate professor at Mount Holyoke College, senior manager at the Congressional Office of Technology Assessment, adjunct professor at Johns Hopkins and American University, senior East Asia analyst at the CIA, consultant on Japan to the National Academy of Sciences, chairperson for Southeast Asia at the Foreign Service Institute (State Department), senior associate at the Carnegie Endowment for International Peace, and most recently as Deputy Staff Director of the Senate Select Committee on Intelligence. He has lived and traveled widely in Asia and served as a civilian in Vietnam (Darlac Province) during the war. He is the author of more than a hundred chapters, articles, monographs and op eds on international affairs – primarily East Asian, intelligence, and technology assessment related topics. Recent publications include a monograph on China’s Ambitions in the South China Sea published by the East-West Center, and Southeast Asian Security Challenges published by the National Defense University, a monograph entitled China and Southeast Asia published by Johns Hopkins and an article on Intelligence Oversight in The Journal of Intelligence and Counterintelligence . He has been a regular commentator on Fox TV News and a periodic commentator on National Public Radio, BBC and CNN (Business Asia). He speaks regularly to U.S. Government audiences on East Asian security issues. He also writes a biweekly foreign policy column for The Ellsworth American (Maine). His undergraduate education included Chung Chi College, Hong Kong. He holds a masters degree and doctorate from The School of Advanced International Studies of The Johns Hopkins University. This year’s Nieman Weekend has a substantially revamped format, featuring a dinner speaker, Anne Garrels, in addition to a full day program on Saturday, May 21, organized around the Nieman Fellows. Note that weekend events are at The Summit at Lookout Point. (The Summit is a bit more restricted as to seating and parking, so plan on reserving your place early. Click here to see the schedule for the weekend, and in particular for the events of Saturday, May 21. And here to see Mac Deford’s Invite Letter. Click here to display photos and mini-resumes of 2010-11 International Nieman Fellows. If you would like to take part, download this Nieman Registration Form, print it and fill it out, and send it to the address given. To check availability of places, call Sarah Rheault at 236-8288. 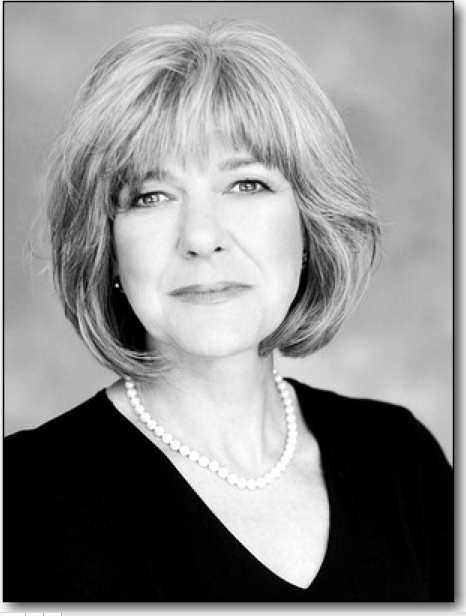 Anne Garrels is a senior foreign correspondent for NPR’s foreign desk. She covered Iraq under Saddam Hussein’s regime and through the U.S. invasion and its aftermath, and earned international recognition in 2003 by being one of 16 U.S. journalists to remain in Baghdad during the U.S. bombing. Her vivid, around-the-clock reports from the city under siege gave listeners remarkable insight into the impact of the war and the challenges to come. As U.S.-led forces advanced on the city, Garrels remained at her post, describing the scene on the streets and reactions from those she encountered. Her experiences in Baghdad are chronicled in her book Naked in Baghdad(Farrar, Straus and Giroux, September 2003). Garrels, who first arrived in Iraq in 2002 under Saddam Hussein, led NPR’s coverage there until 2008. Her reports anticipated and documented the sectarian violence; she traveled the country working independently as well as embedding with U.S. forces. Since Sept. 11, Garrels has also reported from Afghanistan, Pakistan and the Middle East. Before covering the Middle East, she concentrated on the former Soviet Union and its successor states for many years, earning an Alfred I. Dupont Award for her Russia coverage of diverse topics ranging from social and economic challenges to military and cultural developments. From Tiananmen Square to the battlegrounds of Chechnya, from Bosnia to Kosovo, Israel to Iraq, Garrels has put a human face on conflict, combining experience in the field with a sharp understanding of the policy debates in Washington. Garrels’ work in Iraq has been recognized with the George Polk Award, the 2004 CPB Edward R. Murrow Award, the Courage in Journalism Award from the International Women’s Media Foundation, the Alfred I. Dupont-Columbia University Award, the University of Missouri Medal for Distinguished Service to Journalism, and awards from Interaction and the World Affairs Council. 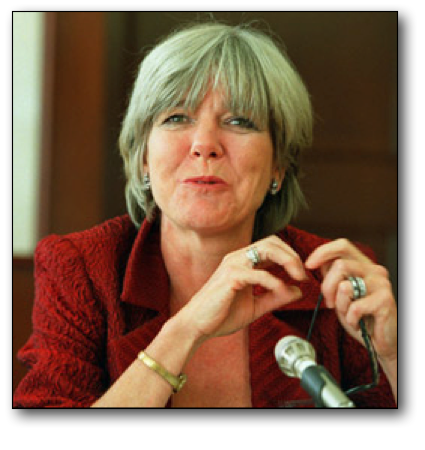 For her contribution to NPR’s coverage of the Gulf War in 1990, Garrels shared an Alfred I. Dupont Award. In 1999, the Overseas Press Club honored Garrels with the Whitman Bassow Award for a series she did on global water issues. She has once again turned her attention to Russia, producing a series on the changes in one industrial city, Chelyabinsk. But she continues to respond to her editors’ calls, taking assignments where needed. Her reports can be heard on All Things Considered, Morning Edition, Weekend Edition and Day to Day. Before joining NPR in 1988, a move she says allowed her to “spread her wings,” Garrels was the State Department correspondent for NBC News. Prior to that, Garrels worked at ABC in a variety of positions over the course of ten years, serving as Moscow bureau chief and correspondent until she was expelled in 1982. From 1984-85 she was the network’s Central American bureau chief. 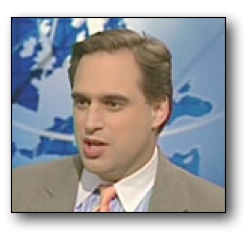 In 1996-97, Garrels spent a year as an Edward R. Murrow Fellow at the Council on Foreign Relations. She is a member of the board of the Committee to Protect Journalists. Garrels graduated from Harvard University in 1972. When not on assignment she lives with her husband Vint Lawrence in Connecticut. 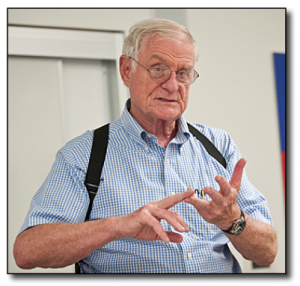 David Mize has lived and worked in Libya, has worked closely with the King and with Colonel Gadaffi, and has an informed perspective on the rebel groups now contesting Gadaffi’s authority. In this extra forum meeting he will undertake to make clear what is unfolding in that that unsettled region, and come up with some predictions about how it will all turn out. Note: This event will be held in the Point Lookout Summit rather than in Erickson Hall. Please proceed all the way to the top and park behind the Summit building. Bring binocs and come early enough to sample the view before the meeting. Juan R. I. Cole is Richard P. Mitchell Collegiate Professor of History at the University of Michigan. For three decades, he has sought to put the relationship of the West and the Muslim world in historical context. He has been a regular guest on PBS’s Lehrer News Hour, and has also appeared on ABC Nightly News, Nightline, the Today Show, Charlie Rose, Anderson Cooper 360, Countdown with Keith Olbermann, Rachel Maddow, the Colbert Report, Democracy Now! and many others. He has given many radio and press interviews. He has written widely about Egypt, Iran, Iraq, and South Asia. He has commented extensively on al-Qaeda and the Taliban, theIraq War, the politics of Pakistan and Afghanistan, and Iranian domestic struggles and foreign affairs. He has a regular column at Salon.com. 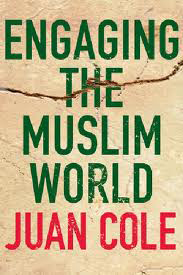 Professor Cole’s most recent book is Engaging the Muslim World (Palgrave Macmillan, March, 2009) and he also recently authoredNapoleon’s Egypt: Invading the Middle East(Palgrave Macmillan, 2007). Juan Cole continues to study and write about contemporary Islamic movements, whether mainstream or radical, whether Sunni and Salafi or Shi`ite. He has command of Arabic, Persian and Urdu and reads some Turkish, knows both Middle Eastern and South Asian Islam. He has lived in various parts of the Muslim world for nearly 10 years, and continues to travel widely there. A bibliography of his writings may be found here. Joshua M. Landis is Director of the Center for Middle East Studies and Associate Professor of Middle Eastern Studies at the University of Oklahoma where he teaches modern Middle Eastern history and politics and writes on Syria and its surrounding countries. Dr. Landis writes “Syria Comment,” a daily newsletter on Syrian politics that attracts some 3,000 readers a day. It is widely read by officials in Washington, Europe and Syria. Dr. Landis regularly travels to Washington DC to consult with the State Department and other government agencies. He is a frequent analyst on TV and radio. ( See: Landis in the News) Most recently he has appeared on the Jim Lehrer News Hour, Charlie Rose Show, CNN, Fox News, and has been widely quoted in the New York Times, Wall Street Journal, Washington Post, LA Times, and comments frequently for NPRand BBC radio. He has spoken at the Brookings Institute, USIP, Middle East Institute, and Council on Foreign Relations. He was educated at Swarthmore (BA), Harvard (MA), and Princeton (PhD). He has lived over 14 years in the Middle East and received numerous grants to study in the region, including three Fulbright grants and one from the Social Science Research Council. Nicholas Thompson is a journalist and currently a Senior Editor at The New Yorker magazine, a contributing editor for Bloomberg television, and the author of The Hawk and the Dove: Paul Nitze, George Kennan, and the History of the Cold War. He is a fellow at the New America Foundation and an official panelist on CNN International’s “Connect the World” with Becky Anderson. Prior to the New Yorker, Mr. Thompson was a senior editor at Wired Magazine for 5 years. Before that, he was a Senior Editor at Legal Affairs and an editor at the Washington Monthly. 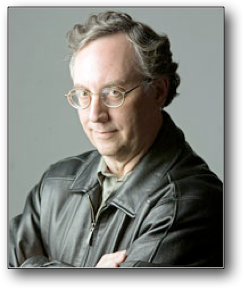 He has written about politics, technology, and the law for The New York Times, The Washington Post, The Boston Globe, the Los Angeles Times, Slate, Foreign Policy, The New Republic, The New York Observer, and many other publications. In addition to his regular work with Bloomberg TV, while at Wired he was a frequent guest on CNN’s American Morning and NBC’s Today Show. He has also appeared as a commentator on Fox News, MSNBC, CNBC, ABC’s Live with Regis and Kelly and World News Tonight, CBS’s Early Show, and National Public Radio. Thompson is a grandson of Paul Nitze, one of the subjects of his most recent book, which gave him unprecedented access while researching his book. He lives in Brooklyn with his wife and children. Nicholas Platt has spent most of his life working on relations between the US and Asia. Thirty four years as a career diplomat, culminating in service as US Ambassador to Zambia (1982-84), the Philippines (1987-991) and Pakistan (1991-1992), was followed by twelve years as President of the Asia Society, beginning in 1992. He became President Emeritus following his retirement July 1, 2004. Ambassador Platt’s involvement with Asia began as a student of the Chinese language in Taiwan in the early sixties, and continued with Foreign Service assignments in Hong Kong (1964-68), Beijing (1973-74) and Tokyo (1974-77). In 1972 he accompanied President Nixon on the historic trip to Beijing that signaled the resumption of relations between the United States and China. 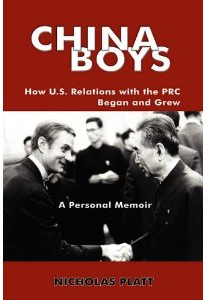 He was one of the first members of the U.S. Liaison Office in Beijing when the United States established a mission there in 1973. In the course of his government service, Ambassador Platt served in several capacities in Washington, including China analyst, Director of Japanese Affairs, National Security Council Staff Member for Asian Affairs, Deputy Assistant Secretary of Defense (responsible for politico-military relations with Japan, Korea, China and Southeast Asia), Acting Assistant Secretary of State for UN Affairs (1981-1982), and Executive Secretary of the Department of State (1985-1987). Richard Nixon, bidding Nick Platt goodbye on the airfield of Beijing after the historic first visit, told him, “You China boys will have lots to do from now on.” Ambassador Platt used the phrase as the title of his charming 2010 book, China Boys: How US Relations with the PRC Began and Grew: A Personal Memoir. Born in 1936, Ambassador Platt graduated from Harvard College in 1957 and earned an MA from the Johns Hopkins University School of Advanced International Studies in 1959. He is a member of the New York Council on Foreign Relations, a director of Fiduciary Trust Company International, and chairman of the US-China Educational Trust Advisory Board. He and his wife Sheila have three grown sons: Adam, a writer; Oliver, an actor and Nicholas Jr., a financial publishing executive; and eight grandchildren.